The Brighouse Fire Hall No. 1 will be officially opened on Saturday, September 15 with a public open house featuring tours and activities for the whole family. The facility replaces the previous 50 year old Brighouse fire hall and became operational in mid-July. The public is invited to the grand opening, which will be hosted by Richmond City Council and will take place from 11 a.m. to 2 p.m. on Saturday, September 15 at 6960 Gilbert Road. 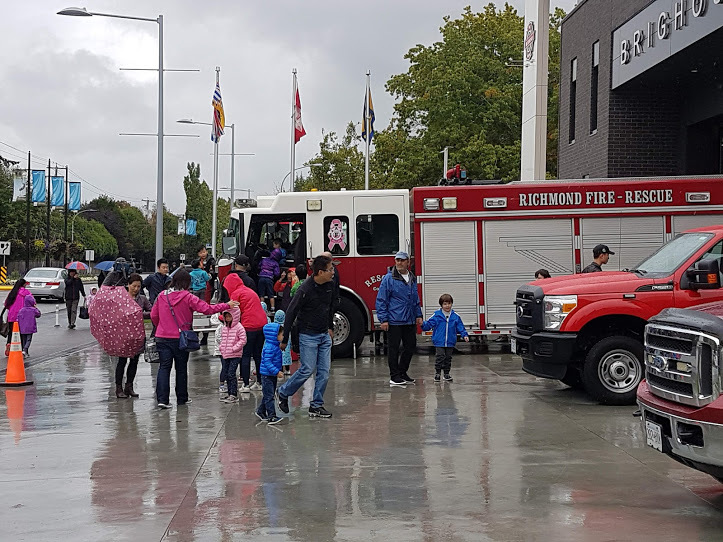 Attendees will be able to take part in self-guided tours, explore a variety of fire vehicles and learn about the Richmond Fire-Rescue and City of Richmond Emergency Program services based in the facility. A brief official opening ceremony will take place at 11:30 a.m., followed by the official unveiling of the public art installation created by artist Nathan Scott. Parking is limited so event attendees are encouraged to walk, cycle or take public transit to the event. Wheel Watch, the City’s free, secure bike parking system will be set up for cyclists to store their bikes safely during the event. A free shuttle will be operating from the Richmond City Hall parking lot and the Fire Hall No. 1 site between 11:00 a.m. and 2:00 p.m. to reduce traffic congestion in the area. • The new $24.4 million Brighouse No.1 Fire Hall replaces the 50 year-old Brighouse Fire Hall. • In addition to the No. 1 fire hall, the new City of Richmond facility is also home to Richmond Fire-Rescue’s administrative offices, Fire Prevention and Community Relations. The City’s Emergency Programs Department will also be located at the hall. • The 25,240 square foot facility is sustainably designed to meet Leadership in Energy and Environmental Design (LEED) Gold standards and will be post-disaster rated to ensure it remains operable in an emergency. Then new facility has also been designed to be a net zero energy ready building. • Unique features in the new facility include state-of-the art rapid horizontal opening bay doors to help speed response in emergencies and incorporate sustainable features that optimize energy efficiency and operating requirements. • The new facility includes a public art installation based on a “Richmond Firefighter”. Designed by Nathan Scott, the bronze sculpture commemorates and honours the contributions and history of the Richmond Fire-Rescue Department. 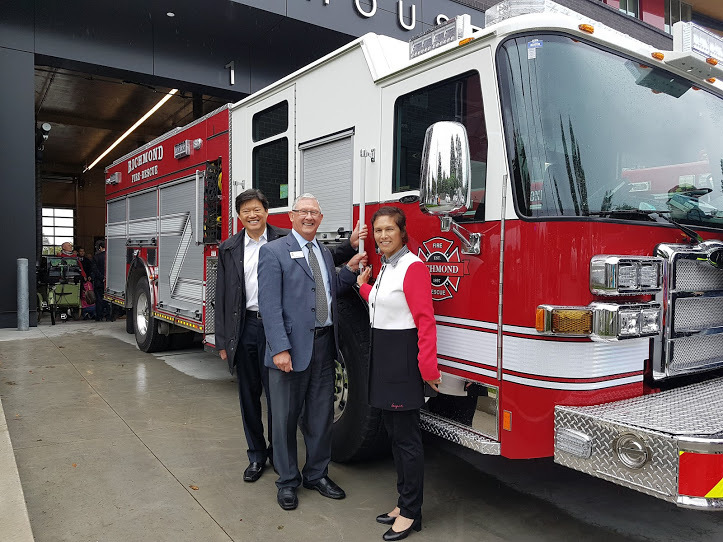 • Since 2003, Richmond has built five new fire halls and completed a major renovation and a seismic upgrade on an existing fire hall. The City also purchased and renovated the Richmond Community Safety Building to serve as the new headquarters for the Richmond RCMP. Posted in City NewsTagged richmond firstBookmark the permalink.